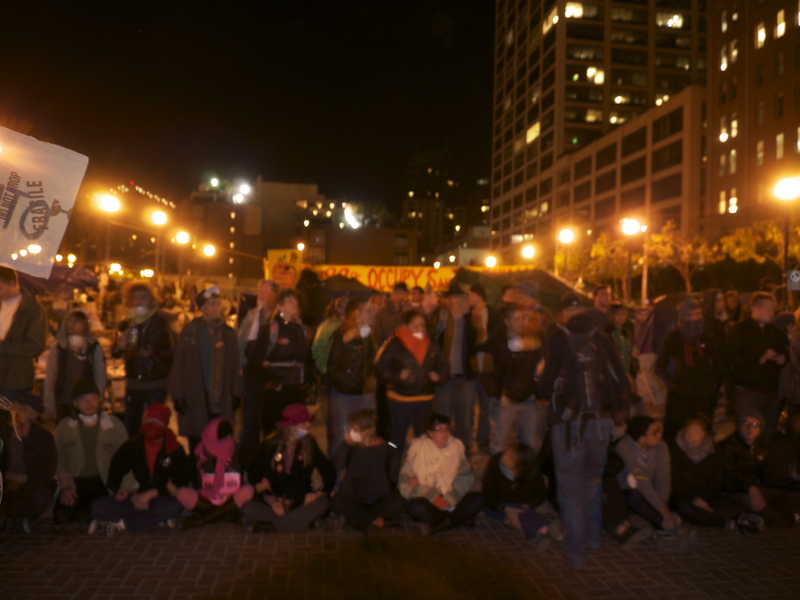 #OccupySF 10/26 – rumors of attempted SFPD raid… did the people prevent it? 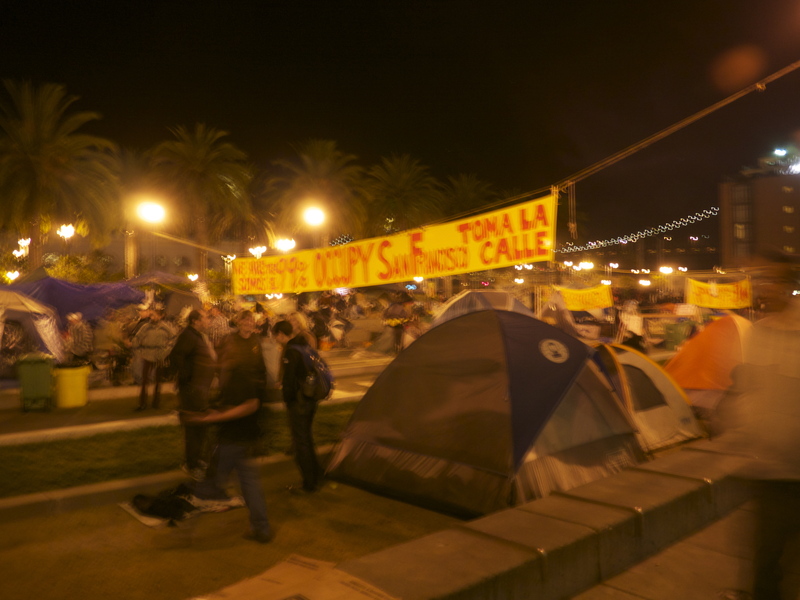 I went down to the #Occupy camp here in San Francisco earlier tonight after reading rumors on Twitter about a possible police raid. I arrived at about 11:30pm, after walking several extra city blocks to Justin Herman Plaza due to the closure of the closest MUNI station at Embarcadero by police to prevent an influx of protestors to this side of the bay from #Occupy Oakland. A rally was held earlier in Oakland in support of those who were violently evicted on Tuesday evening from Frank Ogawa Plaza. There were about 300-500 people at JH Plaza when I arrived. It was a festive atmosphere. I burned some rosewood incense in support. By 12:30am, there were closer to 1,500 people. Several dudes walking around sending out live feeds with their tablets and laptops. Mic checks. We began practicing forming human chains to protect the camp. Some people offer tips on avoiding tear gas by dousing a towel with vinegar to breathe through. By 1am, after two false alarms warning of an immanent police attack and several brief announcements of support from local politicians and mayoral candidates, people slowly begin to leave. Crowd shrinking. I decide to head home. Twitter had been full of rumors all night regarding a police build up on Treasure Island and near Potrero Hill (rumors with photo evidence). The police never showed up at Justin Herman Plaza. Did the people’s show of support (~1.5-2k of them) keep authorities away for one more night? 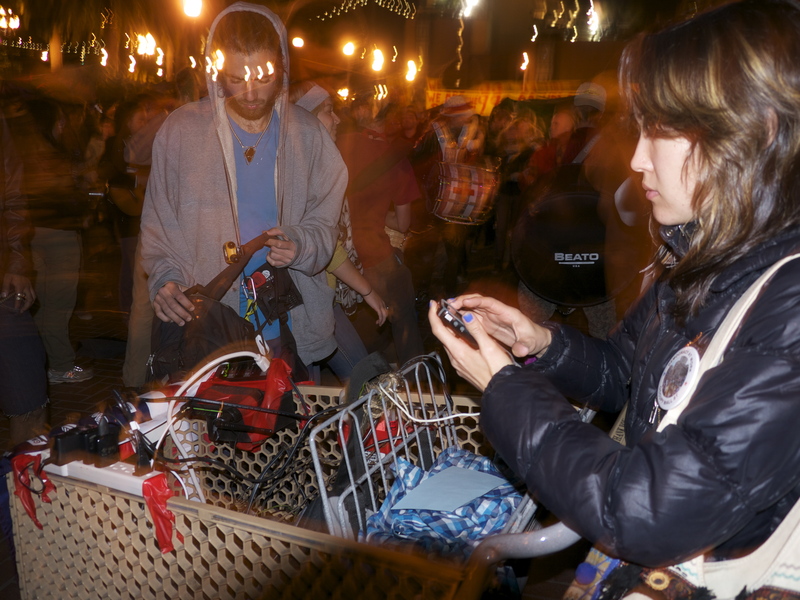 I can’t say for sure what the SFPD had in mind tonight, but for now, #OccupySF lives on. Some NYT coverage early Thursday. so glad you came out, and stuck it out so late!!! People power wins again. Really great work, Matt. Thanks! Was touched by your live, walking, analysis, while you got out there. Hope to join too one of these days.